As we age, we start to see fine lines appear on our face. These lines typically creep up around our eyes, mouth, and forehead and are often caused by facial movements such as laughing, smiling or frowning. The older we get, the deeper these wrinkles can become. Botox Cosmetic is used to improve these dynamic wrinkles. It works by blocking nerve transmission to a muscle and relaxing the muscle that contracts to cause a wrinkle. So what should you expect when you get your first Botox treatment? Once the muscle is injected, it can often take up to 24 hours before you will start to notice a difference, and the full effect on the muscle won’t be complete for two weeks. After the first two weeks, reinjection will allow for the most accurate localization of any muscles that were resistant to the first procedure. The number of injections you will need will depend on the area affected. Typically, you will want to have your injection repeated every 3-4 months in order to keep the muscles paralyzed and achieve the best results. In some cases, you may experience a little swelling or discomfort at the injection site. This is normal. Most individuals are able to return to work or other daily activities after the treatment. Nowadays, you can get Botox at a variety of different places. Its frequently offered at MedSpas, Medical Weight Loss Centers, and even at your Dentist or Orthodontist. 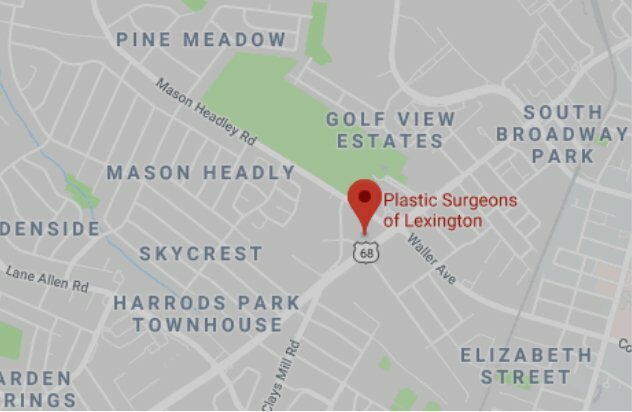 At Plastic Surgeons of Lexington, your Botox injections will always be performed by a certified Plastic Surgeon to ensure you get the best results.